After watching several hours of the documentary, The Vietnam War, one has to wonder at the utter inability of the US government of the time, to think outside the box during the period of that conflict. Seldom does a military, political, and social analysis of an historical event go this deep. 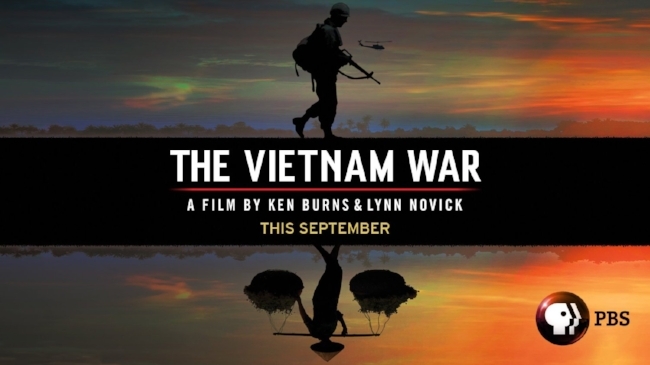 During its eighteen hour running time directors Ken Burns and Lynn Novick cover a wealth of issues associated with this conflict, exploring it from multiple perspectives. Not only do they shine a light upon the hubris and folly of both respective governments, they manage to keep a very intimate and human perspective. Personal stories from both sides are told and if there is a common theme, it is sadly one of tragedy and regret. The Vietnam War attempts to seek answers and to do so, starts the tale with the French colonization of Indochina. Burns and Novick then progress through the policies of three U.S. Presidents: Kennedy, Johnson, and Nixon. But they also ensure that a Vietnamese perspective is maintained so they do not neglect the political turmoil and machinations of both North and South Vietnamese governments. There are numerous talking heads, both great and small during the course of the narrative. Soldiers, politicians and families provide candid insights into how the war impacted upon their lives. The documentary doesn’t forget the wider history of the time and there is much screen time dedicated to the US protest movement and how the war was greeted internationally. There is a wealth of original news footage from the conflict, wisely chosen to highlight each point of discussion. It is often quite graphic and bleak. Yet this is how the news played out each night in homes around the world. The Vietnam War is not only a documentary about a military conflict but also one of how rolling news reshaped public opinion and brought an abstract, remote war starkly to the attention of the world. Something the US government did it best to contain but due to social and technological change, ultimately failed to do. There’s also a lot of audio recordings made by the US government, detailing meeting between the President LB Johnson, The secretary of Defence Robert McNamara and such like. These are utterly chilling because you soon get a sense that events have gone beyond their control, yet political considerations tie their hands and predetermine their course of action. For me, what makes The Vietnam War stand out is the way it keeps a human face up, despite the international nature of events. The story of Denton “Mogie” Crocker Jr runs throughout several episodes, following the honest dreams of a young man who believed in the moral rectitude of the war. Sadly, the reality of the situation soon became apparent to him and his tale ends in tragedy; just one tragedy among thousands on both sides. It’s a reoccurring theme, that so many soldiers were conscripted from small towns, frequently chosen from a specific social economic background and sent into a “no win” situation. Their commendable honesty and wholesome naivety is sharply contrasted by the hubris and obstinacy of both governments. The Vietnam War is presented in ten substantial episodes. Like that definitive World War II documentary, The World at War, each strives to cover and explore a specific period of time and a particular milestone in the conflict. The events of the time are seen from multiple views and the documentary endeavours to be as even handed as it can. The soundtrack by Trent Reznor and Atticus Ross embellishes the proceeding without being too intrusive. There is also a healthy mix of popular music from the era, as well as news footage and commercials that help give the viewer a sense of the times. It would be remiss of me not to mention Peter Coyote’s narration, which never descends into melodrama. He clearly and succinctly describes the history of the war, subtly conveying the magnitude of events, allowing their own significance to give them weight. Overall, a major and often ignored part of American history is finally given the scrutiny that it deserves. It’s far from easy viewing but then again, the truth seldom is.